Susan is a friend of mine that I lovingly call a "snow bird", which means she spends her winters in Vero Beach, Fl and her summers in Washington State. We had our birthday lunch on Wednesday at Waldo's on the beach. Our birthdays are 2 days apart, so we had to celebrate right!?! We promised to have more outings like this next year. This is the card I made for Susan. The duck is from a baby stamp set and framelit Something for Baby, the water if from my new favorite set Work of Art, it has the look of water coloring. So easy to get that look with this set, you will want it on your new catalog wish list for sure. If you already have the new catalog look on page 165. The miss you already stamp is in the Just Saying set. 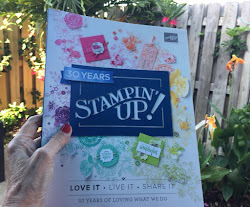 Great Deals from Stampin' UP! Check out Shelli's invitation below for 50% off of Paper Pumpkin, and make sure to sign up by this Friday! See Shelli's YouTube Video HERE. 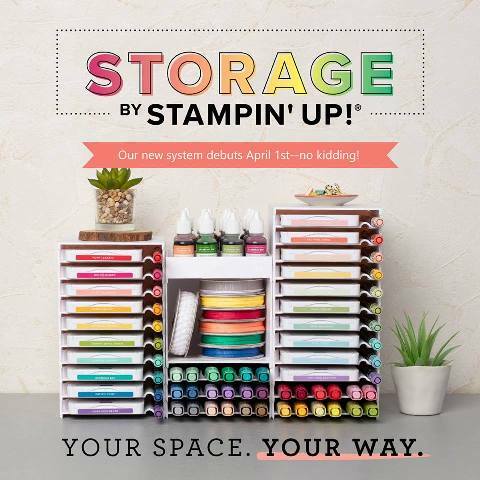 The kits have been changed a lot and are fabulous--for all types of stampers! Great chance to give it a try. 2. 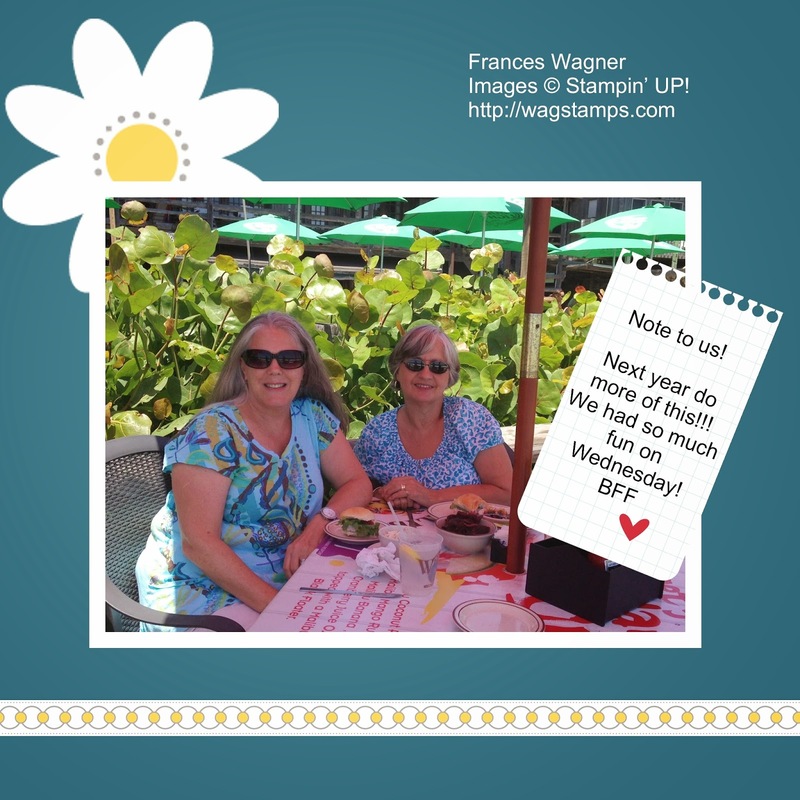 Beginning (Thursday, May 22) Stampin' Up! is having a HUGE BLOW OUT RETIRING SALE. Items 25-50% off!!! Check my website www.franceswagner.stampinup.net early Thursday. Just wanted to make sure you check it early, I am sure things will sell out FAST! Don't miss out!!! www.franceswagner.stampinup.net contact me if you have any questions. 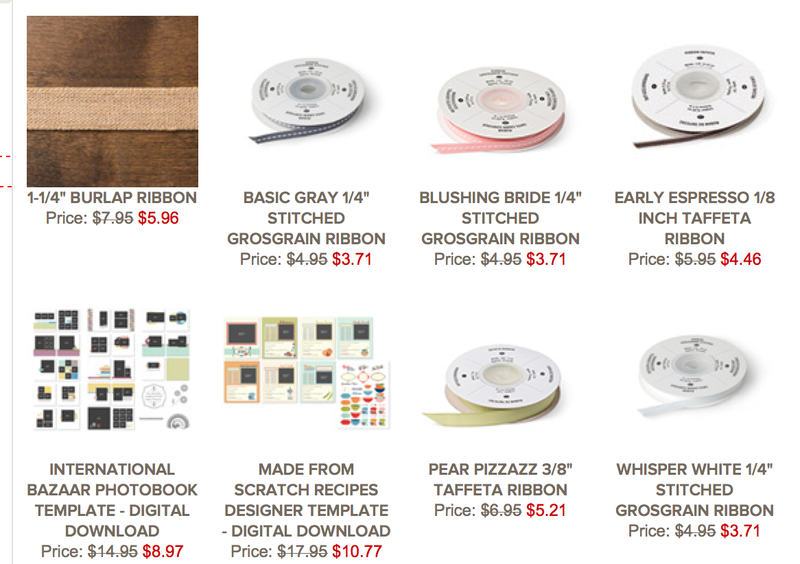 If you like ribbon then you are going to love this weeks deal. Check it out! This past week I was at the May Crop at the Salvation Army. We had a blast, wish you were there. This was my table this month. I wanted to show things that you could make with Stampin' UP! products that was not card making. A little home decor and I also displayed some new products. Next month at the June 20th and 21st crop I will also have my retired stamps, accessories and big shot dies on sale so if you go to the Salvation Army Crop be sure to look for my table and I will be having a class making checkbook covers. Contact me if you want to take that class. This is an up close sample of how I used our stamps and punches to make a cute tag to put on the cloche and added a little bird nest and soaps and a wreath. Group picture of the Salvation Army Crop. Barb Crespo, my friend who is in my stamp club and I offered a 3x3 card class for everyone at the crop. It was a great opportunity for those that had never stamped to use product that were not stickers etc for their scrapbooks. Barb demonstrated the envelope punch board for them and she had premade small envelopes. We had about 36 people to take this class six at a time. They all loved the class! You will make 3 projects. Email me to reserve your spot and get directions to my place. Wednesday - 5/28/14 1:00pm – Card Class Acrylic Block Technique- My place- Class Fee- $15.00 You will make 3 projects. Email me to reserve your spot and to get directions to my place. You will be making 10 quick simple cards with 2 designs 5 cards each. This class has become a favorite because stampers always need a quick card to make or have a stash on hand for those times when you forget an event. No envelopes with this class. Email me to reserve your spot and to get directions to Rockridge Clubhouse. 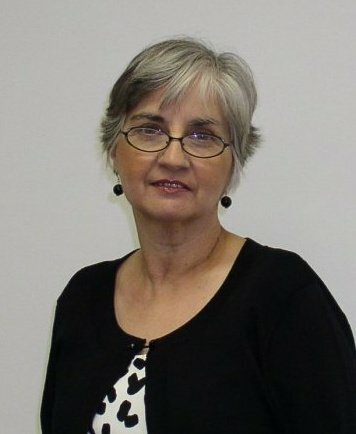 Monday – 6/9/14- 2pm Sassy Stampers Stamp Club- Join us for a fun afternoon of stamping. You will get to make 3 projects- Club fee for visitors is a $15 or place a $25 order and no fee. Penny is our hostess this month. Let me know in advance if you can make it and I will give you the address. Saturday 6/14/14- 1pm-3pm New Catalog Open House. You will have a fun afternoon with stamping and looking at the new catalog and I will have my retired stamp sets and big shot dies for sale at a discount. You won’t want to miss it. RSVP REQUIRED so I can prepare for you. Saturday – 6/21/14- Salvation Army Crop Checkbook Cover Class *Class fee $15. I will offer a class at 10am on Saturday morning making checkbook covers and 2 other projects. You must register in advance for my class so I can purchase my supplies. I will be starting a new stamp club from July - Dec 2014. We need six stampers to join and we meet once a month. Each stamper agrees to purchase $25 per month before shipping and tax and each person gets to take a turn to be hostess with free goodies. After we get our 6 people we will decide when and where to meet. We have so much fun each month and can't wait to meet again. Email me if you decide to join our little group. wagstamps@yahoo.com Members of my stamp clubs get a free catalog too!